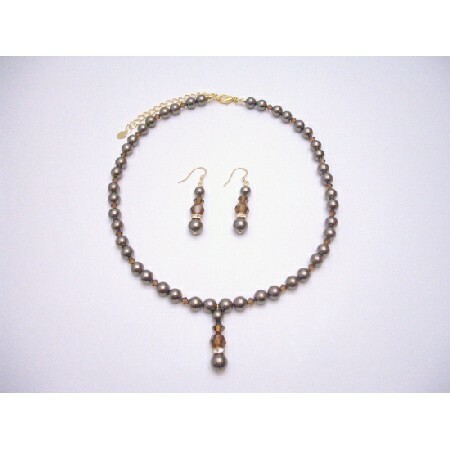 Beautiful jewelry Set in Swarovski Ivory Pearls with Smoked Topaz Crystals & Gold rondells Drop Down. Made with Swarovski Pearls Crystals! We have handcrafted each Necklace using our own original designs. All of our designs are based on beautiful & unique Vintage Style Jewelry from many different eras. We always use the finest quality of Crystals & components.